Illish Macher Dimer Bora is a common delicacy during the monsoon in Bengal. Fish roe is mixed with spice and dipped in batter and deep fried. Enjoy this with rice & dal.Hilsa is only seasonaly available, and considered the tastiest fish, so it’s roe. 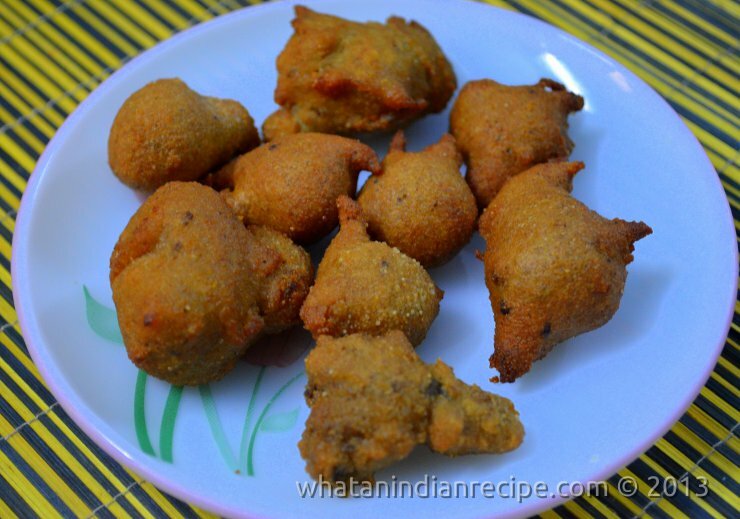 You may also use Rohu/Katla fish roe for this recipe. Wash the egg of Illish and smash it lightly. To this add the remaining ingredients except oil and mix well. Heat mustard oil in a wok/pan and then pour very small portions of this mix in the oil and fry then till golden brown. Serve hot with hot steamed rice.